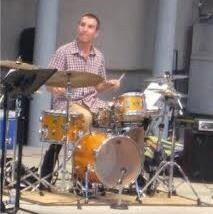 Tony is all about making drum lessons a fun, energetic, and interactive experience. He teaches all ages and levels, who see progress in a surprisingly short span of time. Young beginners often have so much fun, they forget that they are also learning! Tony studied with the Armed Forces School of Music. He has performed with the Les Paul Trio, Glenn Williams, Kevin Spacey, Jack Black, in addition to performing with a pop group known as Expose. Performance experience also includes Broadway shows with The Lion King, Dream Girls, and many shows at the Paper Mill Playhouse.